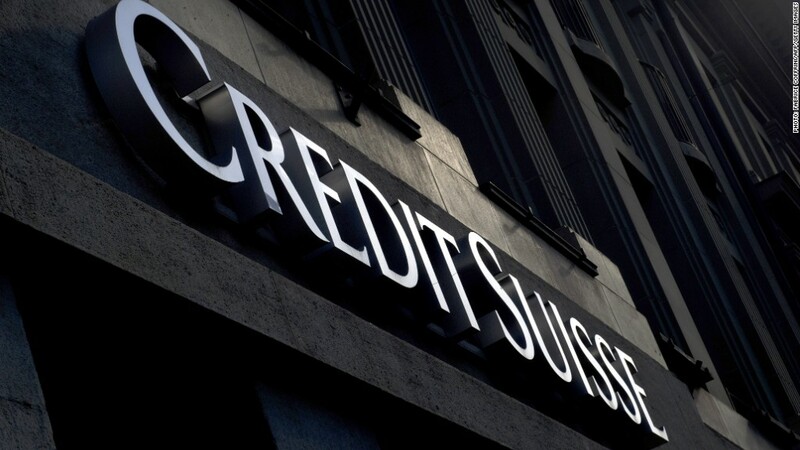 Credit Suisse is one of hundreds of Swiss banks facing possible U.S. legal action after the Swiss parliament blocked legislation that would have allowed the sharing of account information with U.S. tax authorities. The Swiss are not giving up bank secrecy without a fight. The lower house of parliament voted Tuesday against a draft law that would have allowed the country's banks to start sharing secret offshore account information with U.S. tax authorities. The move keeps Switzerland's famous bank secrecy rules intact for the foreseeable future, but creates a problem for hundreds of Swiss banks that are being barred, by law, from sharing account information. The banks could face U.S. legal action if they continue withholding information and there is evidence proving they are helping Americans evade taxes via offshore accounts. Switzerland is home to the world's largest offshore banking industry with $2.2 trillion in deposits. Many account holders were attracted to its banks by the prospect of being able to hide their assets and avoid taxes in their home countries. Related: Got a Swiss bank account? Time to fess up. American and European authorities have been aggressively pursuing these banks in an effort to catch tax evaders, with some success. In early 2012, Swiss bank Wegelin and Co. was forced to shut down after being charged by the U.S. Department of Justice with helping American taxpayers hide more than $1.2 billion from the Internal Revenue Service. In 2009, Swiss giant UBS (UBS) admitted to helping U.S. taxpayers hide money from the IRS and agreed to pay $780 million in fines and restitution. It also handed over account information for its U.S. customers. The two largest banks that are still most exposed are Credit Suisse (CS) and Julius Baer, which have not yet struck deals with U.S. tax authorities. Both banks did not immediately respond to calls for comment, though Credit Suisse revealed in a 2011 financial statement that it had set aside 295 million Swiss francs ($308 million) in anticipation of settling U.S. tax issues. Julius Baer has not published any similar estimates but said last month it welcomed the proposed legislation as providing a framework for resolving tax issues with the U.S. Professor Peter V. Kunz from the University of Bern Law School said the largest banks were holding private discussions with the U.S. Department of Justice and therefore would likely avoid indictments for now. "The biggest risks are for the [smaller] banks which are not yet in contact with the Department of Justice," he said. "The uncertainties and the legal risks will continue for the foreseeable future." Swiss politicians will continue debating the proposed bank information-sharing law Wednesday, though the prospects of parliament reversing its decision look slim. "I think the deal is dead," Kunz said. A decision will have to be made by Friday at the latest, which is the final day of parliament's summer session.